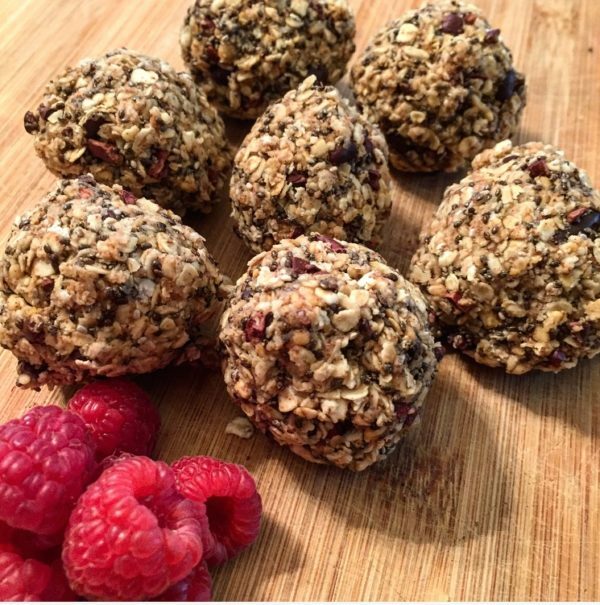 Offering an explosive charge… and packed with protein, fibre and healthy fats try out our energy (cannon) balls. A great pre-or post-workout snack or simply a healthier dessert. Super easy, but be prepared for sticky hands when rolling them into shape! You can change things up and vary the ingredients such as shredded coconut, cranberries or goji berries. Great for the entire family and a welcome change from the sugary and processed desserts mostly available. Store in the fridge for up to 1 week and enjoy!